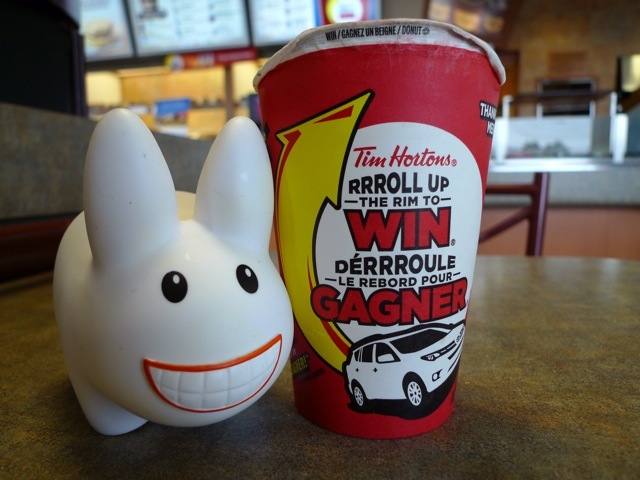 Year of the Labbit: Rrroll Up The Rim! It's that time of year again...if you're Canadian and addicted to the crack that is Tim Horton's coffee, you know it's time to Rrroll Up The Rim To Win! 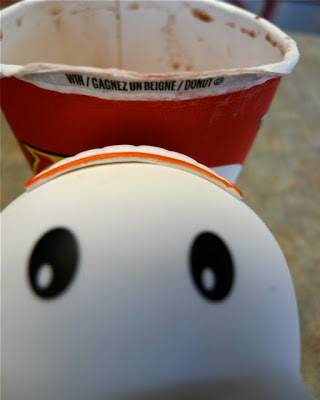 As if Timmy's didn't sell enough liquid crack already, during Rrroll Up The Rim To Win, people go nuts over their caffeine addiction for their chance to win donuts, coffee or sandwiches at Timmy's, cash, and other prizes like BBQs and a Toyota Rav4. Pipkin normally gets himself a small coffee at Timmy's, but you have to go bigger to win, so he bought a medium in order to get a game cup. He was also smart enough not to get a donut at the time, because he won!! He's pretty happy about the prize, because he wanted it more than the BBQ, the car, or a bunch of money. (But Pipkin, money can be exchanged for even more donuts!) Pipkin's not greedy. He won what he wished for, so he hopped up to the counter to choose his prize. 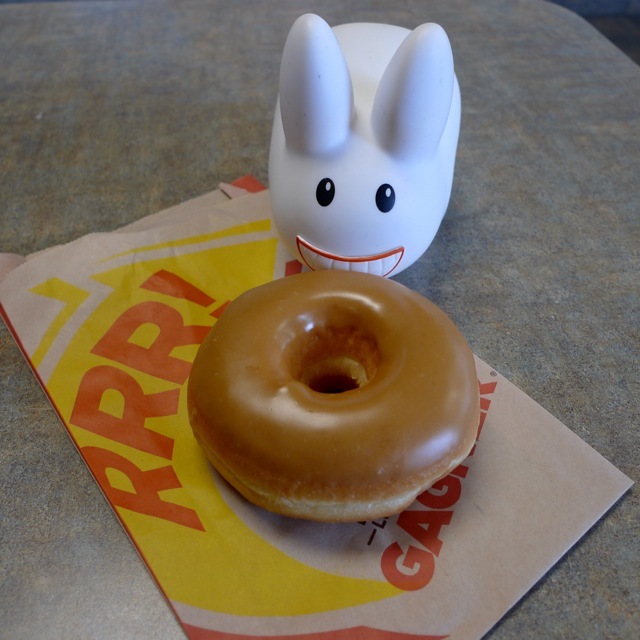 Maple Dip is the natural choice for a labbit in Canada who lives in Vermont. Bon appetit Pip, you lucky labbit! Egg Tarts, Tarts Full o' Sunshine!